These proceedings are an overview of the status of the Hinode mission a year after launch with particular emphasis on instrument performance and the scientific results from the first data release. Hinode was designed to study the sun at high spatial and temporal resolution in order to answer the fundamental questions on how its magnetic fields are formed and evolve, and how their interaction with the solar plasma creates the wide variety of active phenomena that are observed on the sun. The papers presented at the conference and published in this volume contain a number of new and significant advances in this area. The conference covered a broad range of topics that included the most pressing open questions in solar physics, such as the emergence and evolution of magnetic fields, their impact on structuring and heating the solar atmosphere, the origins of the solar wind, and explosive energy release on all scales. 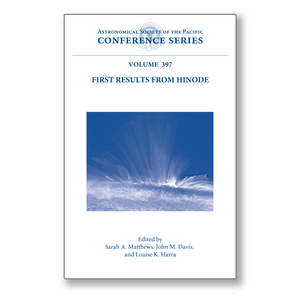 This book therefor provides a broad picture of the current advances in observational solar physics made by Hinode, raising a number of new questions in several areas. It is suitable for researchers and graduate students interested in solar and stellar physics and in the processes involved in magnetized plasma environments in general.